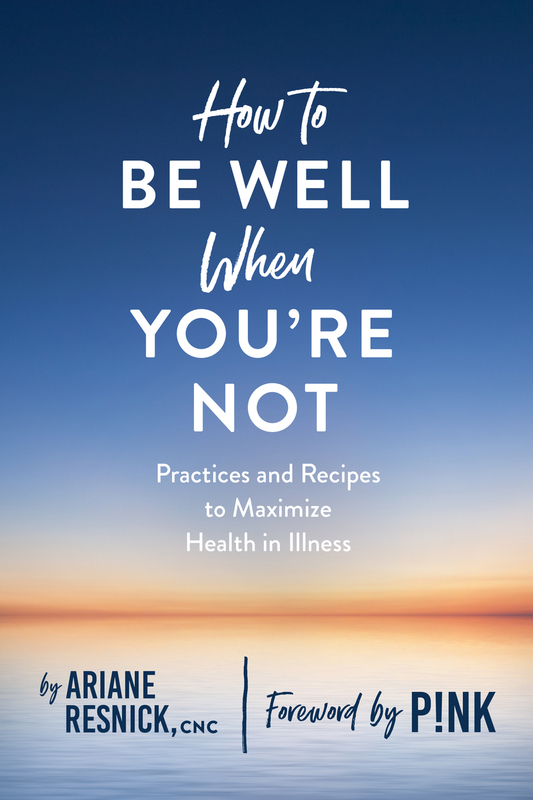 Finally, a comprehensive wellness guidebook for anyone suffering from a chronic illness or pain, with advice and suggestions for everything from emotional coping mechanisms (such as how to deal with the loss of socializing) to recipes with specific uses (like a pain-reducing turmeric ginger tea to sip throughout the day) and mental exercises to help get readers in touch with their bodies in new and valuable ways. Ariane Resnick, CNC, is a private chef and certified nutritionist. She is the author of the best-selling book The Bone Broth Miracle and has been featured by Forbes, Well + Good, InStyle, Goop.com, Huffington Post, Refinery29, Muscle & Fitness, Men’s Fitness, and on Food Network’s Chopped. She lives in West Hollywood, CA.